A deathbed confession taken down by one Dr. John L. Emery of Racine County, Wisconsin, in 1848, may solve the mystery of William Morgan. One Henry L. Valance, suffering from a fatal illness, was being treated by Dr. Emery. His confession to Dr. Emery, written down on September 11, 1848, was printed without modification, as “taken down and read to the unfortunate man who made it”, by publishers W.J. Shuey of Dayton, Ohio, in 1869. 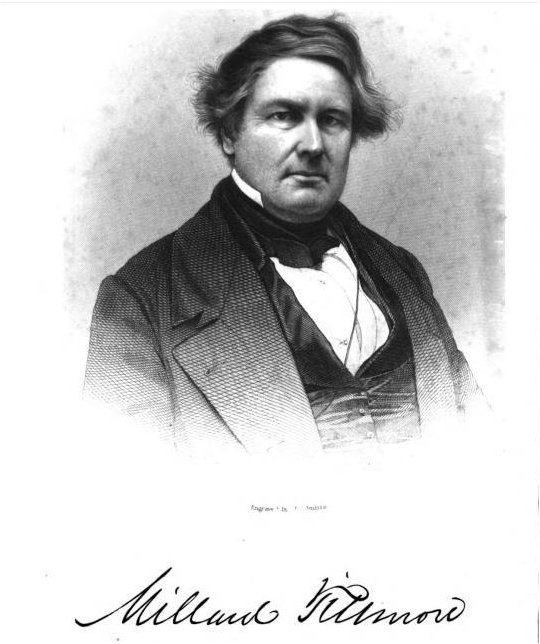 His name, he states, “is HENRY L. VALANCE” and he is “an Englishman by birth…” In 1822 he lived in Canada. For some years he had been a Freemason, and had risen to the rank of Master Mason. Mr. Valance confesses himself to have belonged to the sub-set of Masons who had favored “a little violence…” But as a Canadian, he and his fellows believed the American Lodges would handle the situation. 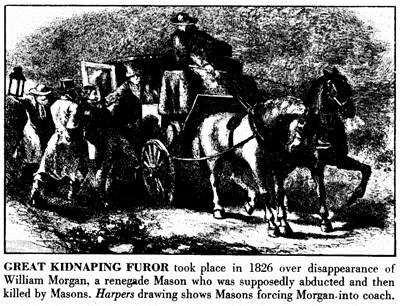 Time passed, and it was learned, in Canada, that some American Masons had kidnapped William Morgan. “We were informed that Morgan was to be brought to Canada, and put on board a ship and sent to Europe.” Thus, the co-operation of the Canadian Masons became necessary. But as in so many kidnappings, something went wrong. “The captain of the ship in which Morgan was to have sailed for Europe suddenly died, and no other opportunity offered for banishing [Morgan] in the manner proposed. The necessity of sending [Morgan] off in a ship manned by Masons only, must be obvious to every reflecting mind.” And so the already kidnapped William Morgan could not immediately be sent off to Europe. William Morgan was confined at Fort Niagara. The keeper of the fort was a Freemason. He could be trusted to keep silent, but his wife was another matter. “This woman came to the knowledge of the fact that some one was confined illegally in the fort, and she demanded to be made acquainted with the whole circumstances of the transaction in which we were engaged.” Her husband would not yield to his wife’s demand, and she became increasingly agitated. Soon, the wife left, and returned to her father’s house. She told her father the cause of the domestic separation, and her father, intrigued by what he heard, decided to visit his son-in-law and demand an explanation. The father-in-law “probed deeply” into the matter of the mysterious person confined at Fort Niagara. It was admitted by the son-in-law “that some one was illegally confined in the fort, but who he was, or for what purpose imprisoned, he could not ascertain.” The man warned his son-in-law that unless the mysterious prisoner was released within 24 hours, he would bring the matter to the attention of the legal authorities. Mr. Valance confesses that he was among the unlucky three who drew out a “D” ticket. The other two soon-to-be murderers were Americans. A boat meanwhile having been obtained, as well as a number of heavy weights, William Morgan was bound and gagged when his allotted hour of prayer and meditation had passed. The group entered the boat and rowed out into the river. The heavy weights were attached to Morgan, and he was thrown overboard. In a footnote to the biography of his friend and law partner, William H. Herndon offers this explanation for Lincoln’s well-known bouts of melancholy: “The cause of this peculiar condition was a matter of frequent discussion among his [Lincoln’s] friends. John T. Stuart said it was due to his abnormal digestion. His liver failed to work properly — did not secrete bile — and his bowels were equally as inactive.”  During his White House years, Lincoln ate sparingly and often fasted. Herndon, William H. and Weik, Jesse William. Herndon’s Lincoln. Originally published in 1888. Digital reproduction, 1999.